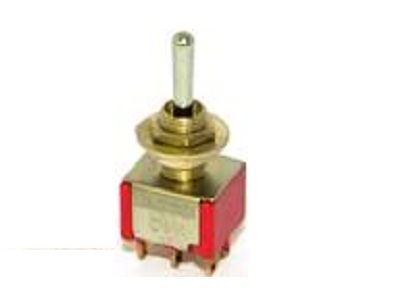 A High quality miniature toggle switch, featuring 3 positions with an ON connection in all 3. Typical used for guitar pick up selection. Supplied with two fixing nuts and locking washer, chrome toggle. This switch can also be used in a SP3T configuration, see PDF for details.